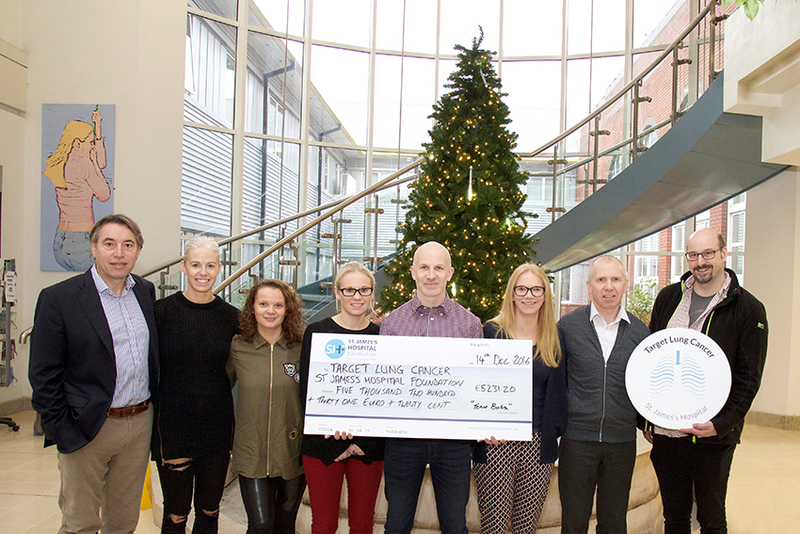 Thank you so much to Team Babs who recently presented us with a cheque for €5231.20 for Target Lung Cancer here at St James’s Hospital. 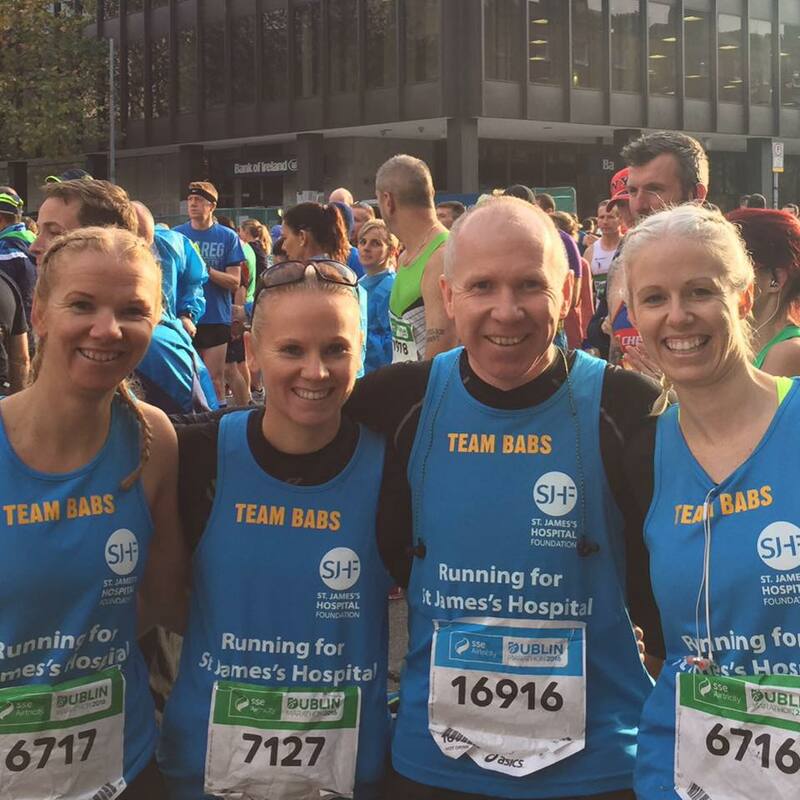 The O’Neill family are a team of inspirational supporters who have spent the last few years running in a series of races in honour of their mam, Barbara (Babs) and also their uncle, Charlie. So why St James’s Hospital? 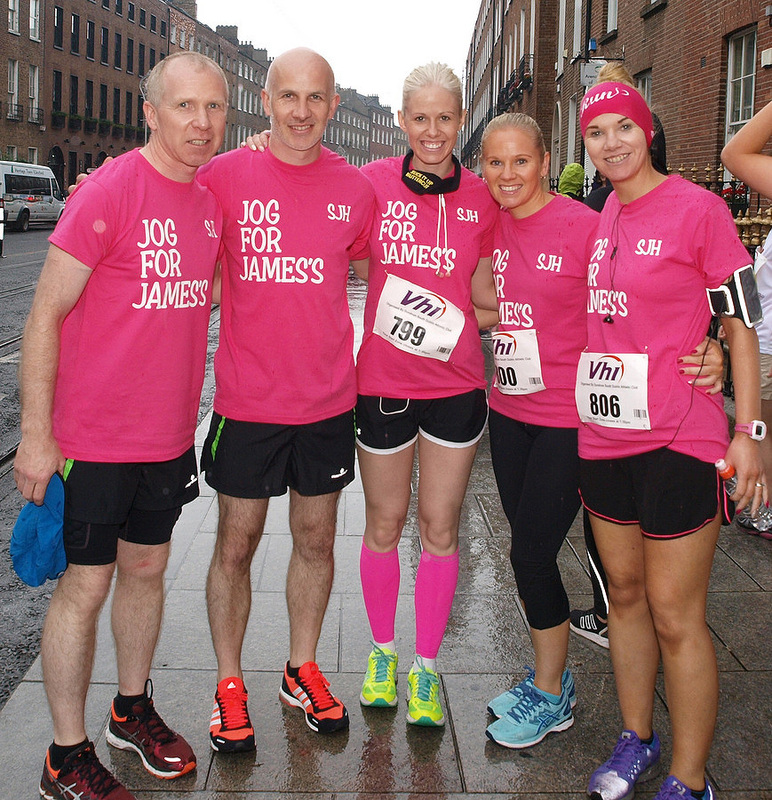 “Mams brother Charlie was diagnosed with stomach cancer and attended James’s hospital for his treatment. Sadly, after a short time, Charlie passed away so mam pledged to do her bit for him and we started to fund raise for the oncology ward. As long as the mini marathon is running our mam Babs had always taken part. She had been doing it for different charities such as Our lady’s children’s hospital and Temple Street hospital and then finally, St. James’s Hospital was her final charity to do it for. Then in November 2011, we got the devastating news that mam had been diagnosed with a rare form of cancer in her lungs (Mesothelioma). She was such a fighter though and through all of her Chemo, clinical trials, tests and every bit of bad news she still went on to take part in the Mini Marathon in 2012 with Geraldine, Lydia, Georgina, and Jennifer. Mam got through her 10k aided by a wheelchair but she still finished it and got her medal which still stands pride of place at home. Oct 25th 2012 Babs lost her fight peacefully at home with all of us there and that was the spark that ignited the O’Neill Gang in to running. 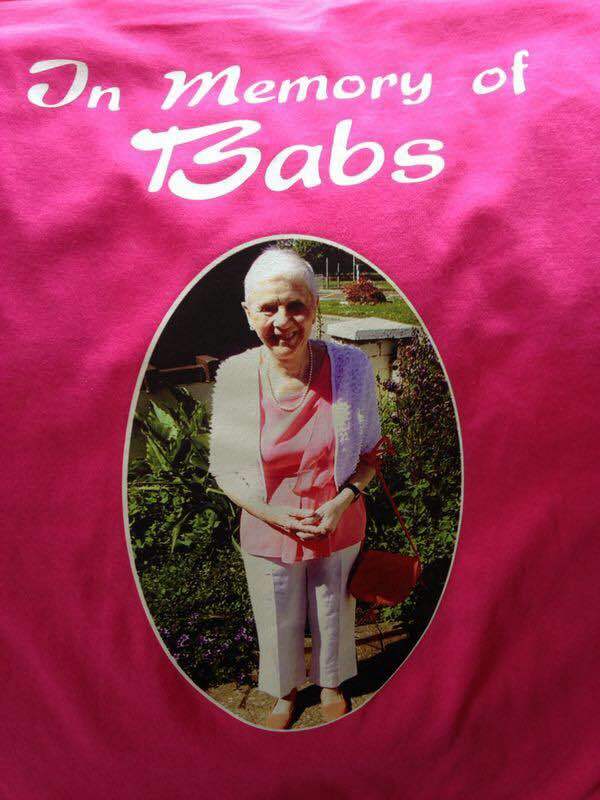 June 2013 was our 1st mini marathon “In Memory of Babs” we roped in our Aunt, cousins and a few friends and got our T-shirts printed and Babs was proudly placed on all our backs to guide us along? “That was it…our running bug had been ignited! We then did a few ramble aid 5ks/10ks and then April 2014 we all did the great Ireland run. June 2014 our runners were laced up again and this time we decided to run with a time in mind and we did it! Our 1st mini marathon as a runner and mam on our back the whole time! 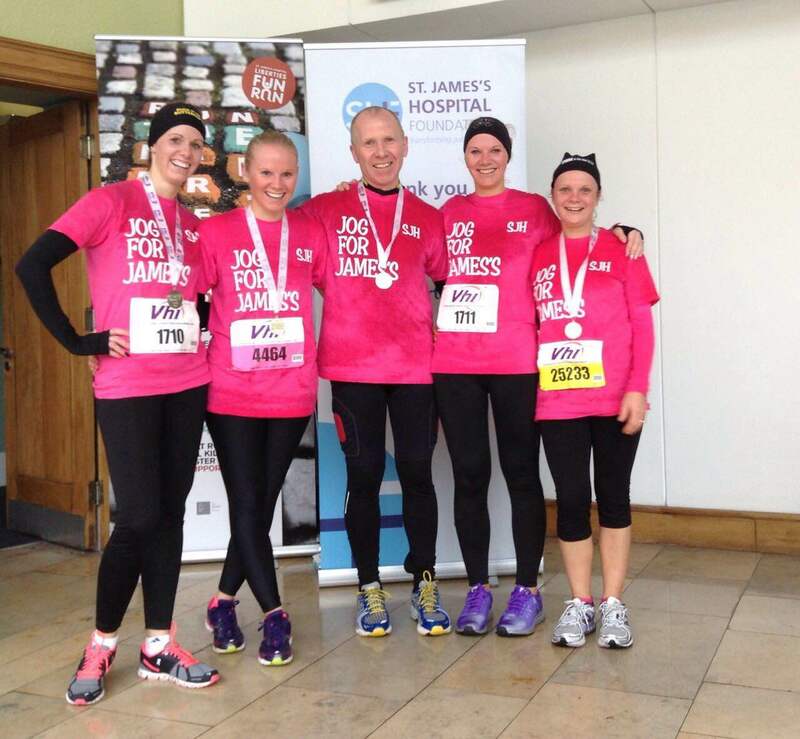 After that, “Team Babs” decided to take on the big 1… the Dublin City Marathon! So with the help of Mark Lacey and our Insanity fit zone marathon crew, we trained insane every week through hail, rain and shine all for 1 big reason…Babs. 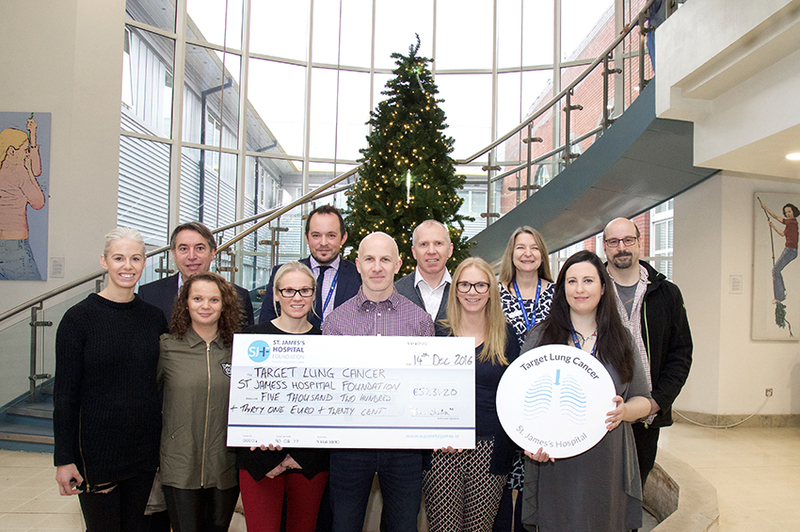 Thank you so much to the O’Neill Family for all their dedication and commitment to raising funds for Target Lung Cancer here at St James’s Hospital.